They really do have the best cars at the New York Auto Show. Even a couch to get cozy with them, too. All thanks to @generallycross on Twitter and Instagram, who somehow managed to find my Yugo. It’ll be there through this Saturday, April 22. 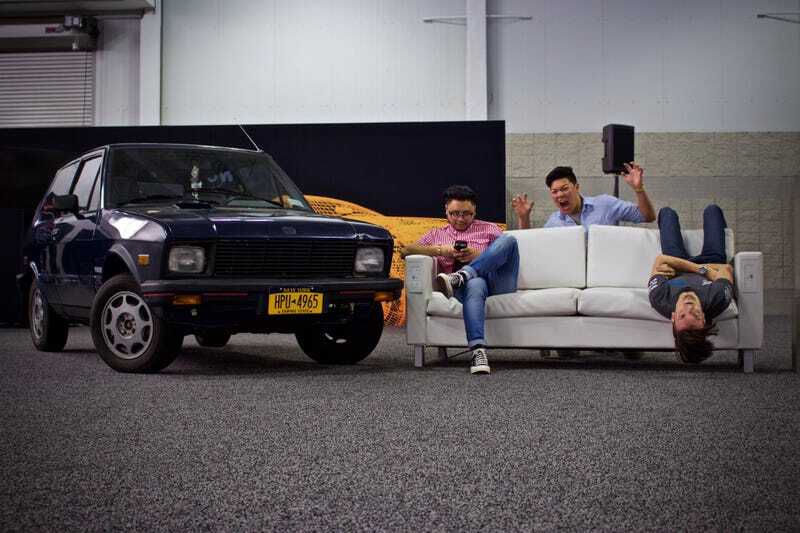 In celebration of this momentous event, we want to see your photos of the indisputably greatest car at the show. Show us what you can do. Prove to us that this is the best booth in the Javits Center.